The Xperia XZ3 is out and it's certainly one of the most unique and progressive Sony flagships to come out for a while. A refined version of the XZ2, which came out 6 months prior, the most current Sony flagship has a 18:9 ratio on a 6-inch OLED screen with curved sides on the front, next to no side bezels, great front-firing stereo speakers, a good camera that finally has OIS, and a beautiful and ergonomic glass back. Oh, also, in line with all modern flagships, the Xperia XZ3 costs an arm and a leg $899. Samsung is also no stranger to the recent price booms in the smartphone world. Its Galaxy S9 flagships started at a price point north of $700 and the latest Note 9 will set you back $999. But many have argued that, with the incredible amount of features the Note 9 brings to the table, the price tag here is... justified. So, is it the only phone worth buying in this new pricing climate? We wondered what the people think. The XZ3 is a bit simpler, with a light, clean UI and a pretty, straightforward design. The Note 9, in typical Samsung fashion, has a UI you can get lost in and a body that, although beautiful, may look a bit "busyer" than the Xperia, with its plethora of cameras, sensors, and the S Pen slot. 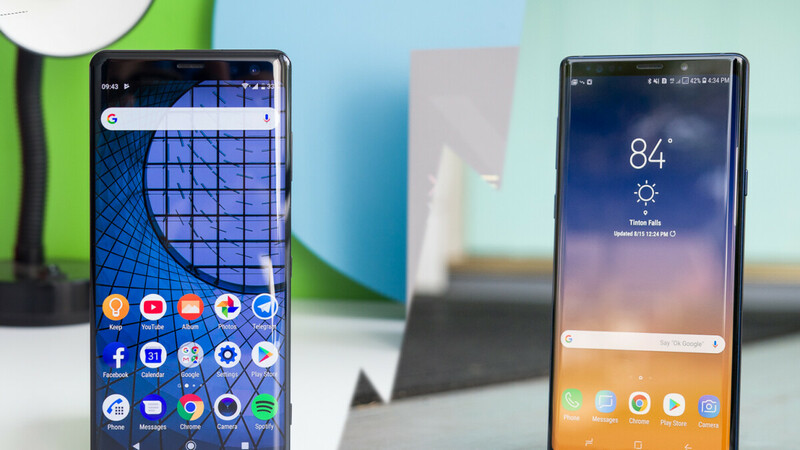 So, we were wondering — if you were about to drop that much money on a smartphone, would you go for the $900 Xperia XZ3 or the $1,000 Galaxy Note 9? Here are the poll results! Thats because its the best of the two. Sony only got that close because certain fans voted on sony to try and make the note 9 lose. I think you missed the part where Sony is 10% cheaper. Is the 9 10% better? I think the phones reflect their value and this is where I think the numbers seem spot on. These are American prices; in Europe the Note 9 can reach a whopping 30% more expensive. The XZ3 sells around €800 which is a stable Sony flagship price for several years (and identical to the quite a bit inferior XZ2 when it was new). ...and why didn't Samsung fans do the same? Sony Xperia XZ3 is 90% the hardware of Samsung but with much cleaner, consistent and better supported software. The Note 9 offers more bells and whistles, the XZ3 a more streamlined experience. Great phones doesn't need notches. Both are stupendous compared to the army of copycats (aka everyone else). They are both excellent phones, the results are insignificant.